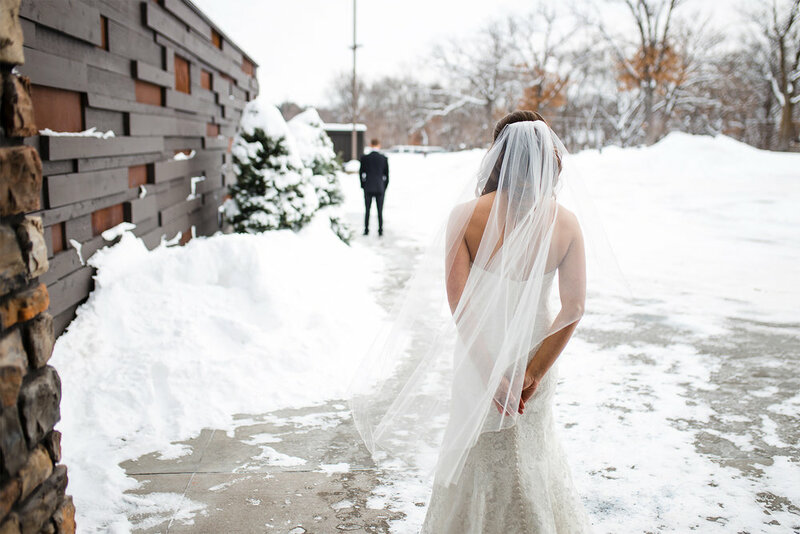 For Minnesota, most people would look toward the beautiful summer nights and crisp fall days to tie the knot. 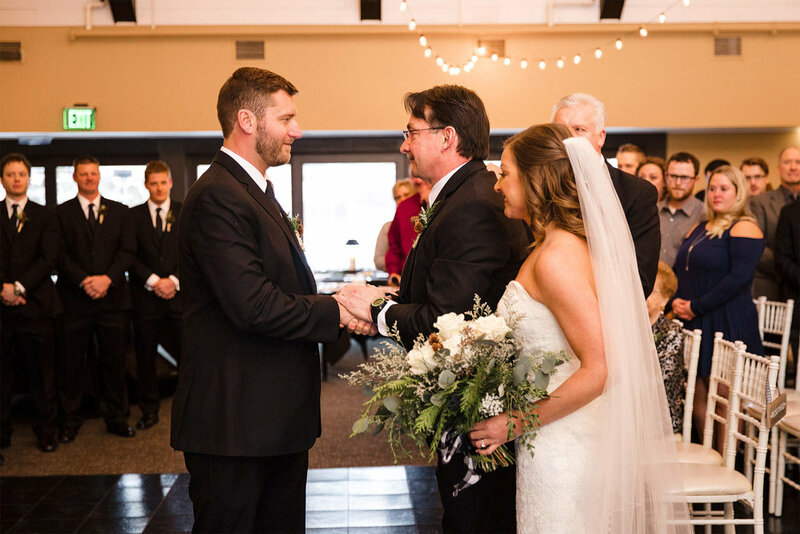 For Megan and Ryan, they had a wonderful vision of the time of year most other couple’s wouldn’t dream of for their wedding day. I was thrilled with Megan approached me and asked if I’d capture their special day. I’ve had the pleasure of knowing Megan all through high school, and when I met Ryan and got to spending time with the two of them I knew it was going to be great experience. 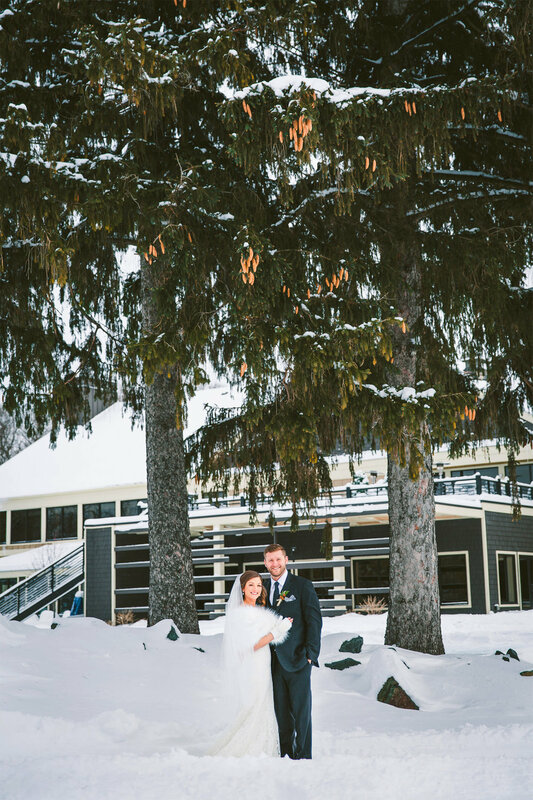 During our meeting and (also snow covered) engagement session, they proved to be both highly organized and detail oriented in all the right places, yet comfortable and fully trusting in the creative process. Basically, the dream couple! 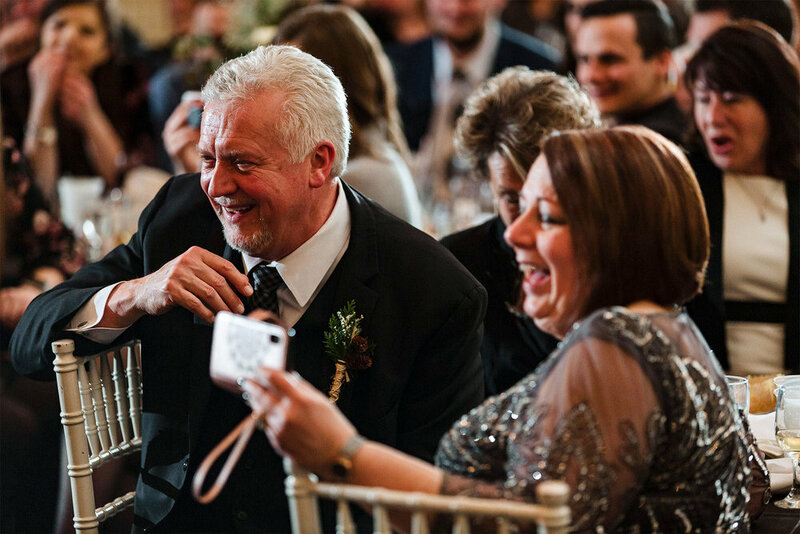 The wedding day itself had so many moments that embodied their relationship. The day began in Hudon’s Viva Voce salon, Megan’s hometown. Hudson Floral also proved wonderfully accented floral pieces and rustic touches to balance out the lavish black furs and mittens for the ladies. Just across the river, the ceremony and reception was held at Dellwood Country Club right outside of Stillwater. 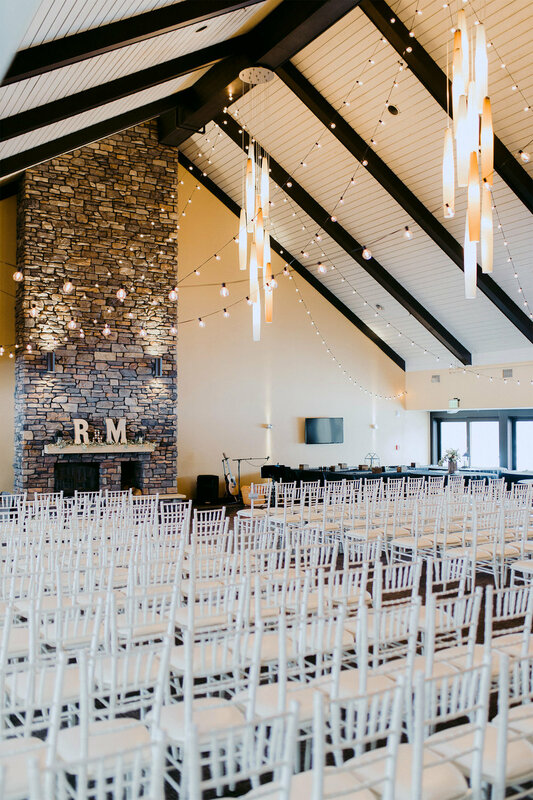 The chalet style ballroom with floor to ceiling stone fireplace was the perfect destination to feel cozy all throughout the night. 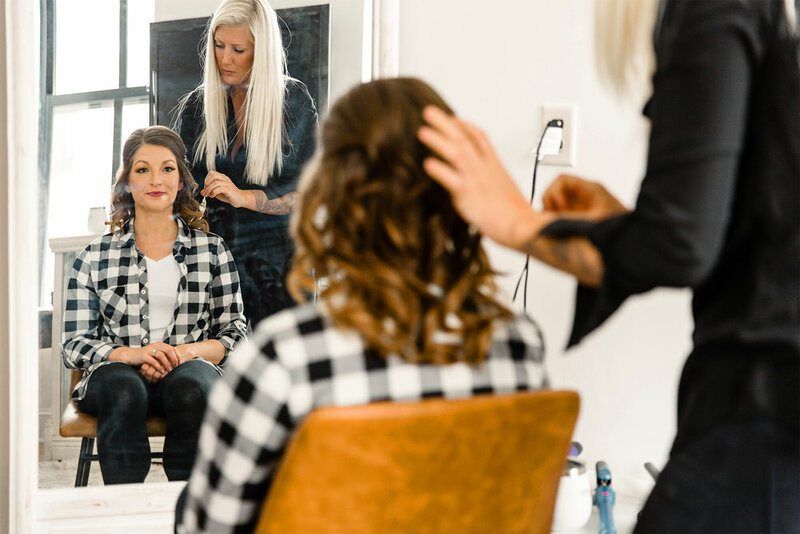 Megan and Ryan did a stunning job or bringing their look and feel together with no shortage of details about their story. 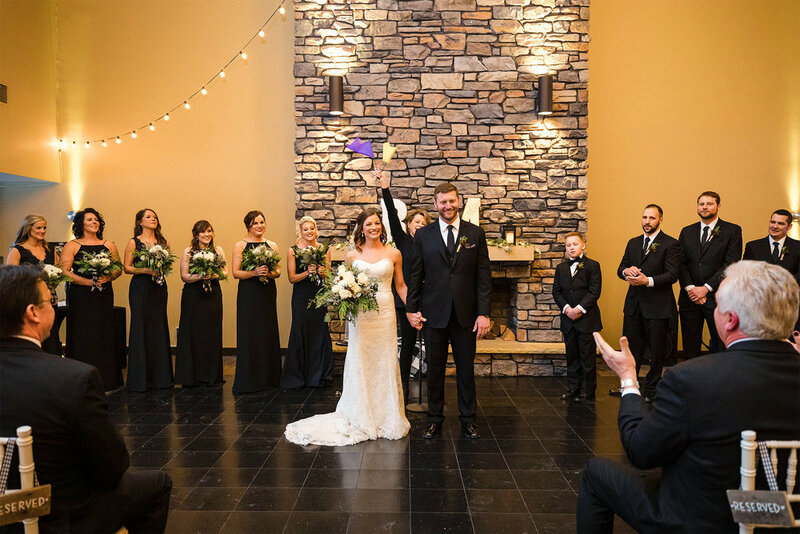 From the craft beer to the cheesecake from their favorite local restaurant, all the way up to their love for both the Vikings and Packers and the inevitable “border battle” split that gave them and their guests many opportunities to pledge their allegiances. They even braved the single digit weather and over a foot of fresh snow to adventure out for some truly unique and bright winter portraits.